The world’s best run organizations are obsessed with Customer Engagement. Why? Almost 9 out of 10 US consumers say they would pay more to receive a superior customer experience. An engaged customer is satisfied and loyal. Many also become brand advocates within their social networks. It’s no surprise that customer engagement is top of mind among CEOs, CMOs & CIOs. The emergence of new channels, new customer behaviors, new customer expectations and new sources of customer data offer new opportunities to seize sustainable competitive advantage. Customer Journey Mapping: Understand the online and offline buying behaviors of different customers/customer groups to ensure you make it easy for each customer to follow their preferred journey. 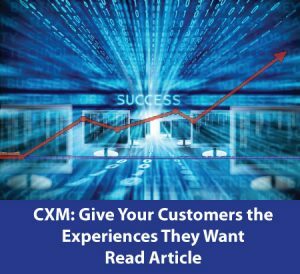 Customer Experience Management: Maximize each customer’s “moments of truth.” Regularly monitor customer satisfaction, implement appropriate customer ‘listening’ programs. Establish a closed-loop process to resolve customer service issues. 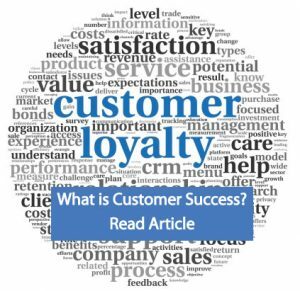 Customer Success Programs: Ensure you have the right team and metrics in place to ensure your customers measurably benefit from your products and services. When you customer succeeds, you succeed. Omni-Channel Management: Engage with your customers wherever they are. Whether face-to-face, on your website, via the Internet, through your contact center, etc., you must be present across all their preferred channels with the right product or service and the right message at the right time. Given that 80% of a customer’s purchasing decision has been completed before they ever contact your company, you must be engaged early on in each customer’s buying cycle. If you are not, you risk losing sales, customers, and ultimately your company’s relevance in the marketplace. In 2008, ISM created an Engaged Customer Strategy framework and implementation methodology that has been successfully used by some of the world’s best-run companies and is viewed by many as the gold standard in the industry. A holistic customer profile. While most companies have some type of customer profile, rarely does it comprehensively integrate transaction data, CRM data, and third-party data or integrate off-line and on-line data using Identity Resolution tools. 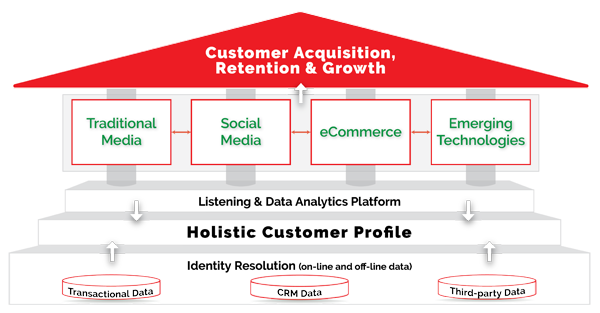 Data analytics to properly segment and/or cluster your customers and track their activity across channels. Four customer engagement channels – Traditional Media, Social Media, eCommerce, and Emerging Technologies: A successful Engaged Customer Strategy leverages each one and integrates them fully. A closed-loop listening process to ensure you are listening to customer feedback at all stages of their buying cycle. Your Engaged Customer Strategy is a 3-5-year plan that gets implemented in manageable bite-size pieces based on your company’s customer engagement readiness. All ISM Customer Engagement activities ensure that the right people, process and technology mix is in place.